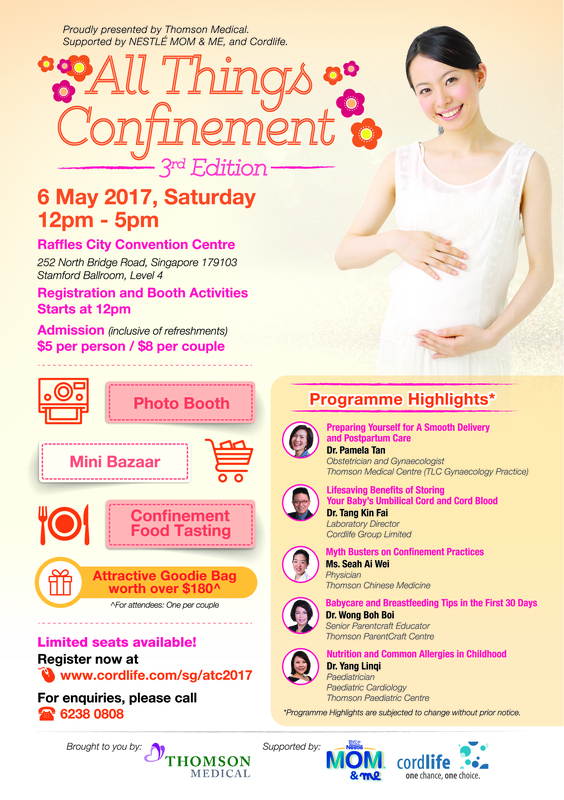 Back for the 3rd year running, All Things Confinement 2017 welcomes all new parents-to-be to sign up for a session of informative and interactive activities! 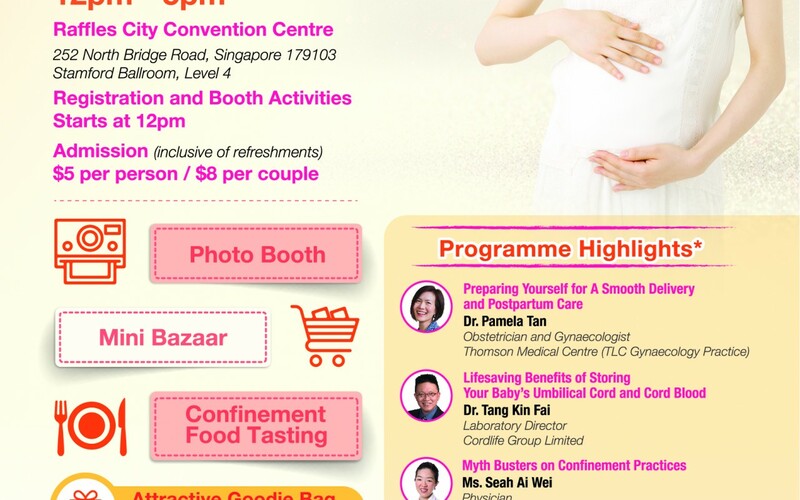 Learn from our panel of experts from Thomson Medical Centre and prepare yourself well! Prepare yourself for a smooth delivery, know the myths on Confinement Practices, learn about your breastfeeding journey and know the Common Allergies in Childhood. Limited seats available! Register now at www.cordlife.com/sg/atc2017 or call 62380808 for enquires!